Summer’s Last Hurrah. Wait…Where’s the Sunscreen? 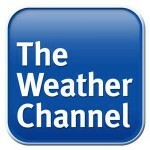 I’ll be appearing on the Weather Channel tomorrow morning at 9:40 a.m. ET to talk to the co-anchor of American Morning Headquarters and host of Momerology (and fellow Ramsey High grad) Maria LaRosa. I want to remind parents what they may have forgotten before they take off for the summer’s last hurrah.